Toy Boy, drawn by Terry Bave, was the first regular cover feature of Whoopee! 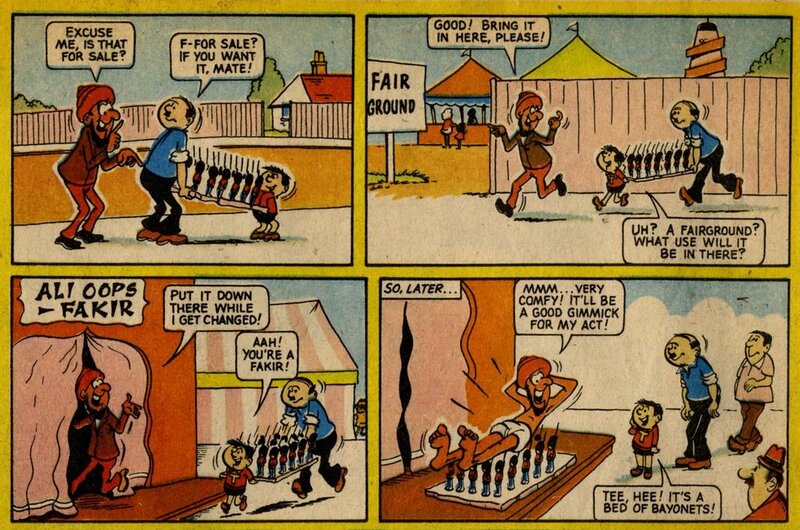 The strip had the fairly simple premise of a lad obsessed with his toys, which must have made him one of the most relatable characters in comics. The letters page (featuring Ossie the office boy) gives a snapshot view of the lives and interests of Whoopee’s young readership in 1974. 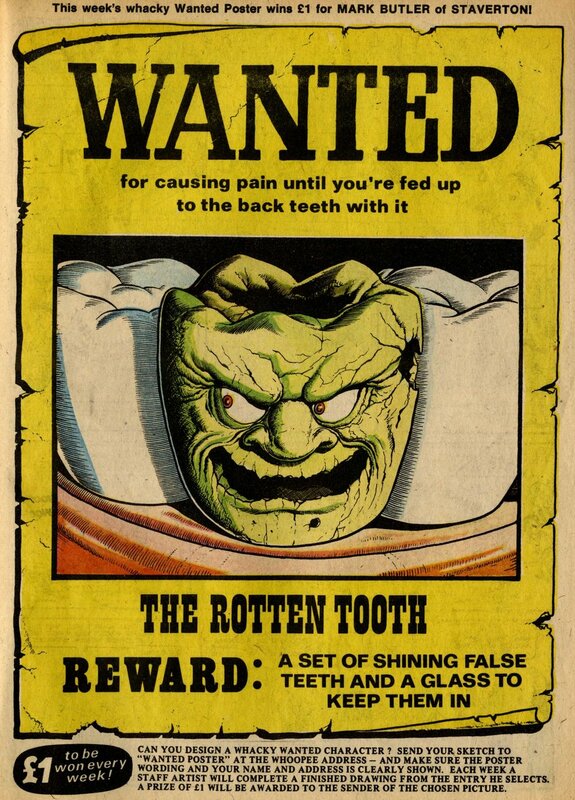 The comic offered mainly innocent fare in its early days, but for a touch of the dark and strange in Ken Reid’s ‘Wanted’ series.